Tonight, February 7th the Penn Manor School District will sponsor an event that targets our youngest learners in our district. The event is held at Hambright Elementary School (3000 Charlestown Road, Lancaster, PA 17603). The snow date will be 2/8/17. 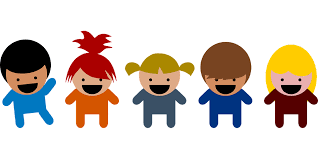 Preschool Expo: Beginning at 6:15 PM to 7:00 PM Penn Manor families will have the opportunity to network with all of our local preschools to learn more about preK programs in our area. Enrolling your child in a preK program helps to build a solid foundation for learning and ease the transition to school. We hope to see you there! Kindergarten Information Night: Promptly at 7:00 PM, our Penn Manor kindergarten teachers will provide an overview of our kindergarten curriculum and ways you can help to ensure your child is ready to attend kindergarten. If you have a child who will be five years of age on or before September 1, 2017, they are eligible to enroll in kindergarten. You won’t want to miss this event.